Oxford has been declared Britain’s “least affordable city”. 5000 new homes in the county may be needed every year up to 2031. The City Deal is set to bring over 18,000 new jobs and £700m of public and private investment. 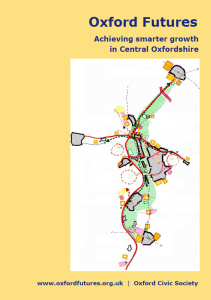 On 31 March 2014 Oxford Civic Society launched a major report “Oxford Futures – Achieving Smarter Growth in Central Oxfordshire”. 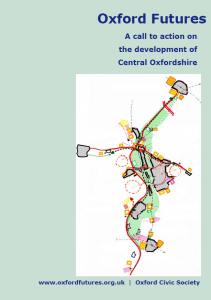 It argues that Central Oxfordshire is going to grow. It can grow smartly and we can all benefit. Or it can muddle its way through and lose out to better organised places. It says the only way to solve the problems arising from these growth pressures and bring about a prosperous future for the region is for all the different agencies to work together. This needs visionary leadership from the leaders of our communities, businesses and universities. The report calls on them to work together to achieve smarter growth. The report is in two parts. The main report describes how smarter growth can be achieved and sets out proposals for action. New housing should be built close to convenient transport links. New communities must be sustainable. They must provide the kind of housing and services people will want. New public transport options must be provided which must be quick, reliable and affordable to minimise car use. The report says Oxford can learn from success in other cities in the UK and Europe. 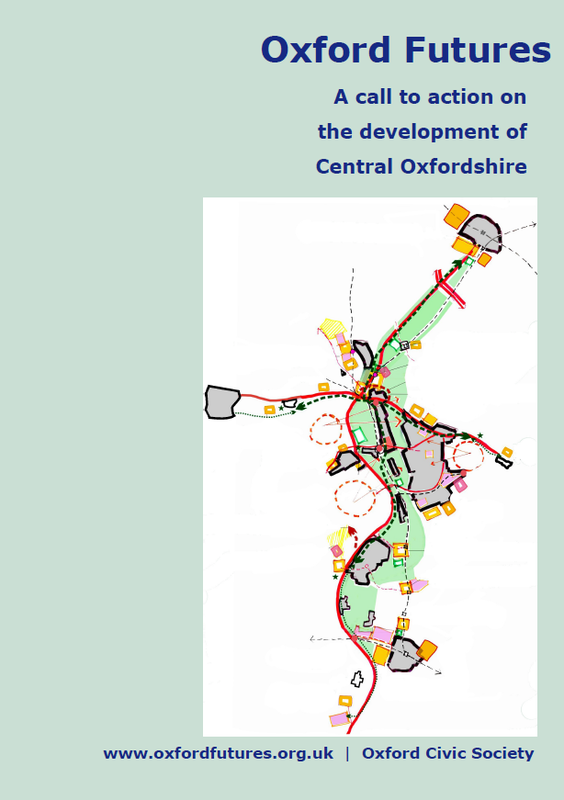 A short summary report “Oxford Futures – a Call to Action on the development of Central Oxfordshire” sets out the main conclusions and presents an 8-point action plan. Copies of both reports may be freely downloaded for personal use from the links below the cover illustrations above. Please contact us for enquiries about other uses including copying or onward publishing the reports. 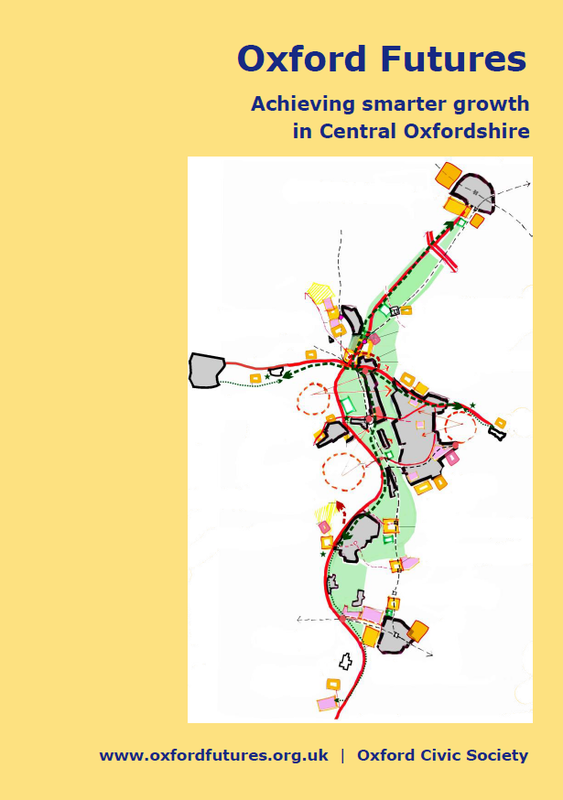 The printed version of the full report can also be purchased for £10 including p&p (Oxford Civic Society members £6.50 inc. p&p) and is available from 67 Cunliffe Close, Oxford OX2 7BJ. Please make cheques payable to Oxford Civic Society.